Thanks Ruth for the improved photo. 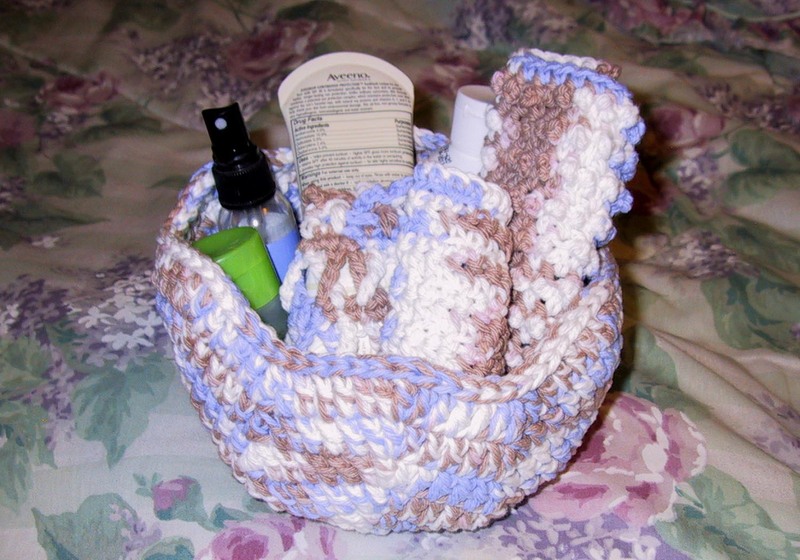 The Ripple Basket Spa Set includes the Ripple Basket, Seed Stitch Facial Cloth, Nubby Spa Cloth and Suzie's Soap Sack II. That's awesome! 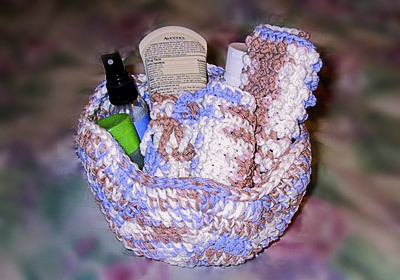 Perfect for a gift set for some lucky person!